CAOIMHGHÍN Ó CAOLÁIN, the Director of Elections for H-Blocks Hunger Striker Kieran Doherty who was elected a TD for Cavan/Monagahn in 1981, and who went on himself to become a Sinn Féin TD for Cavan/Monaghan, gave the main address at the launch of the Hunger Strike Exhibition in Westport Town Hall, County Mayo, on 4 June. Caoimhghín was speaking ahead of this year’s National Hunger Strike Commemoration on Sunday 13 August in Ballina, the home town in Mayo of Michael Gaughan. COUNTY MAYO has a very special place in the story of our hunger strike dead. Three of the 22 who died on hunger strike from 1917 to 1981 were native sons of this proud county. Seán McNeela of Ballycroy, who died on hunger strike in Dublin’s Mountjoy Jail on 19 April 1940, is buried in Cleggan Cemetery; Michael Gaughan of Ballina died on hunger strike in Parkhurst Prison in England on 3 June 1974 after 68 days; and Frank Stagg of Hollymount, who died on hunger strike in Wakefield Prison in England on 12 February 1976, is also buried in Leigue Cemetery, Ballina, along with Michael. It is appropriate to also mention Tony D’arcy of Headford, County Galway, who died on hunger strike with Seán ‘Jack’ McNeela on 19 April 1940 in Mountjoy Jail. Their names are forever linked, just as their comradeship and resolve was mutually shared. The centenary of the death of the first of the 22 to die occurs later this year, on 25 September. Thomas Ashe of Kinnard, County Kerry, died while being forcibly fed and is buried in the Republican Plot in Glasnevin Cemetery in Dublin. Like McNeela and D’arcy, Gaughan and Stagg – and each of those who died through all the years of conflict – Thomas Ashe was a dedicated political activist and Irish-language and culture enthusiast. In command of a detachment of Volunteers covering the Fingal area of north County Dublin on Easter Monday 1916, he brought his men forward to Ashbourne in County Meath and on the Friday engaged the enemy, inflicting significant casualties. After the rebels’ general surrender he was sentenced to death. This sentence was commuted to penal servitude which he served in a number of English prisons. Released, he reported back for duty and, following the delivery of a passionate speech in Ballinalee in County Longford, he was again arrested and sentenced to two years’ imprisonment. He embarked on hunger strike, having been deprived of his ‘bed, bedding and boots’ and died only five days into his fast from the effects of the brutality employed by his jailers who sought to forcibly feed him. I hope that we will all have the opportunity to remember Thomas Ashe in this centenary year of his death and to commemorate his courage and sacrifice at his graveside. 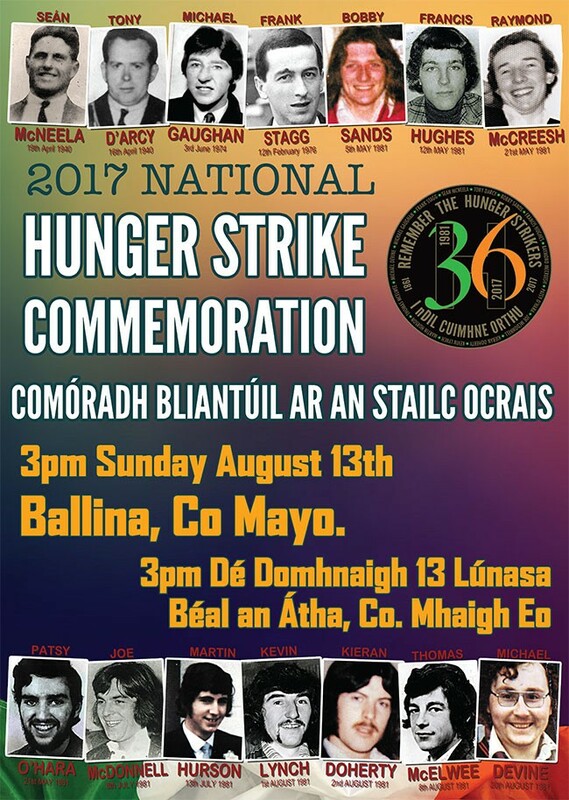 And so it is to Mayo this year, on Sunday 13 August, that republicans from all over Ireland and overseas will gather at the National Hunger Strike Commemoration. This year’s national gathering will be particularly special with the focus on Mayo and the West and the proud and ancient province of Connacht. The town of Ballina, proud hometown of Michael Gaughan and Frank Stagg, will host this year’s event. Today’s exhibition is the first of 13 associated events across the western counties in the lead-up to the national mobilisation on 13 August. 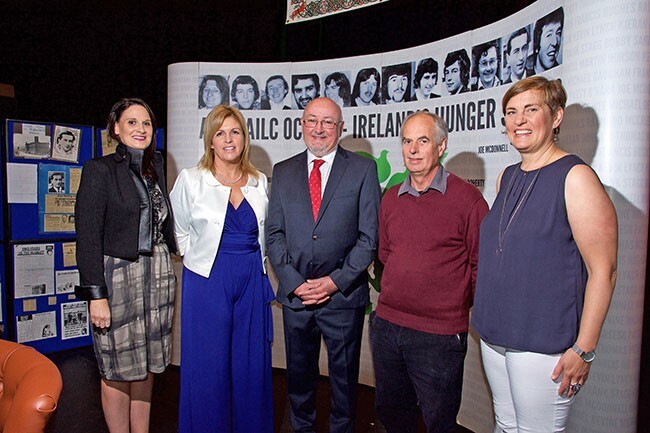 I am particularly pleased to note that the organisers of the National Hunger Strike Commemoration are placing equal attention on the story of all the 22 who have died on hunger strike in their shared decision across the decades not to allow their captors criminalise the struggle of the Irish people for the exercising of their right to national self-determination. The need to educate, the need to inform new generations of the truth of our past, is an integral part of our activism, of our workload. The experiences, the suffering – borne so often by the few but common to all generations – must be told and retold. Through knowledge and understanding will come new energy and the necessary strength and resolve to finally pay tribute, and in the most fitting way possible, to all those who have given so much – the restoration of the unity of our country and all its people in a sovereign, independent, all-island Republic. The hunger strikes of 1980 and 1981 are, of course, in the foremost of our memory today. I was a member of the National H-Block and Armagh Committee of those years. During that time, I was appointed Director of Elections for a young man from Andersonstown in west Belfast whom I had never met and who had probably never set foot in either County Cavan or County Monaghan in his lifetime. Hunger strike and prisoner candidates stood in constituencies across the 26 Counties in the Dáil general election of 11 June 1981. 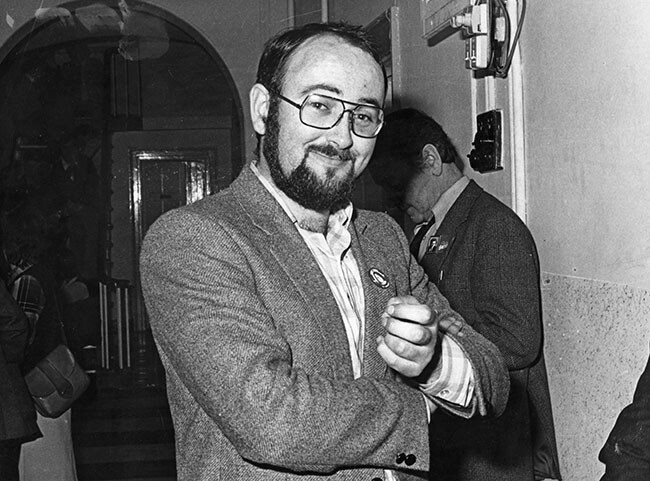 Kieran Doherty, then on hunger strike, was elected in Cavan/Monaghan with 9,121 first-preference votes, second from the top of the poll. Paddy Agnew, a protesting prisoner on the ‘Blanket Protest’ against wearing prison uniform, was elected a TD in his native County Louth constituency. Their election followed the very important and course-of-history changing election of Bobby Sands in the Fermanagh & South Tyrone by-election earlier that year. For Irish republican prisoners across Ireland and in Britain, and those held in the United States and in prisons on the European continent, 1981 was a most difficult and testing year. Their resolve unbroken, the prisoners in Long Kesh ended the 1981 hunger strike on 3 October after 217 days. Ten men had died on that hunger strike. Others who participated had significant health issues that would stay with them through the remainder of their lives. 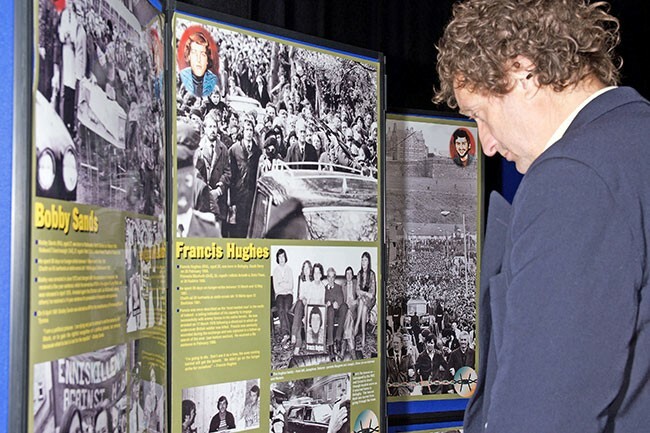 For anti-H-Block activists throughout Ireland and across the globe, and not only within the Irish Diaspora, 1981 was a year of unprecedented activity, mobilisation and emotional stress. It was, for my generation of republican activists, our 1916. Bobby, Francis, Raymond, Patsy, Joe, Martin, Kevin, Kieran, Thomas and Mickey all died for each other. They also died that one day you and I and our children and our children’s children would live as free men and women in an Ireland populated by a sovereign people with no borders and no strife. For an Ireland where all, irrespective of any other identity held on to, would proudly proclaim themselves as Irishmen and Irishwomen. The prison struggle was a much wider canvas than the five demands of the prisoners. It was all about – as their presence in that H-Blocks hell-hole was all about – the Republic declared in Easter Week 1916. That struggle continues today. It is at the core of all we do, all we undertake. Kieran Doherty TD, who died in Long Kesh on 2 August 1981. There are portraits of the three on the corridor of Leinster House where Senator Rose Conway Walsh and I have our offices. They are an ever-present reminder of the courage of those men and the thousands more men and women who in every generation have given honourable and stoic service to the cause of Irish freedom, justice and peace. Today, we serve that same struggle, applying our minds, employing what talents we have, in seeking to bring forward the day of our national deliverance. Pearse, contrary to the ramblings of some who dominate our airwaves and the pages of the press, wanted to live. He wanted to apply his undoubted skills to the major challenge of translating the hope and promise of the Proclamation of the Irish Republic into the daily reality of the lives of the Irish people. Just as Pearse wanted to live and to continue his contribution, Bobby Sands and his comrades wanted to live and to continue their contribution, to invest their energies and talents in building that same Republic. None of the 22 had a death wish. Though they died, their spirit has lived on. I take this opportunity to make a closing appeal to the men and women of the West but especially to the young men and women of Mayo, of Galway and of Roscommon, of Sligo and of Leitrim . . . Know the story of the men and women of the West who would not bow to England’s claim to any part in Ireland’s affairs or to any part of Ireland. From Liam Mellows, through the years of resistance marked by the deaths of Seán McNeela, Michael Gaughan and Frank Stagg – and the further tragic loss of Volunteers Kevin Coen and Joseph MacManus of Sligo – the West has played its part. Be proud, be very proud and know that you too have a part to play. Today you are not asked to risk life, limb or liberty but to invest your energies and talents in building the Republic, in fulfilling the dream of Pearse and of Connolly, of Gaughan and of Stagg, of Sands and of Doherty. Be with us. Be in Ballina on 13 August. Mobilise and proudly play your part. In not just the words but the spirit too of Thomas Davis – The West’s Awake, The West’s Awake.